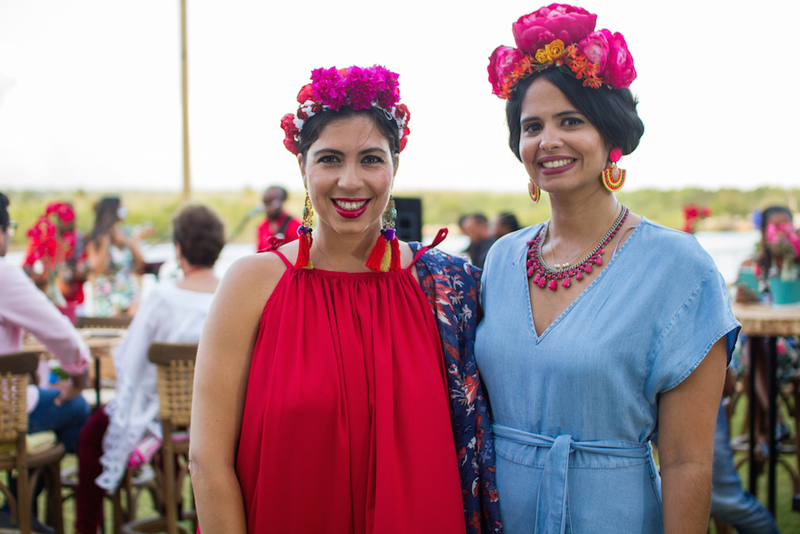 "Mexican Chic" Café de la Leche for this month! Every month we are fortunate to have the chance to get together with friends and celebrate a special cause. 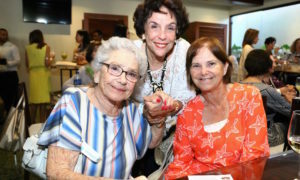 Café de la Leche brings in donations to the Crib Room of the Hogar del Niño which feeds more than 200 babies daily, and the contributions from Café de la Leche supplies more than 80% of the charity’s needed supply of milk and formula! 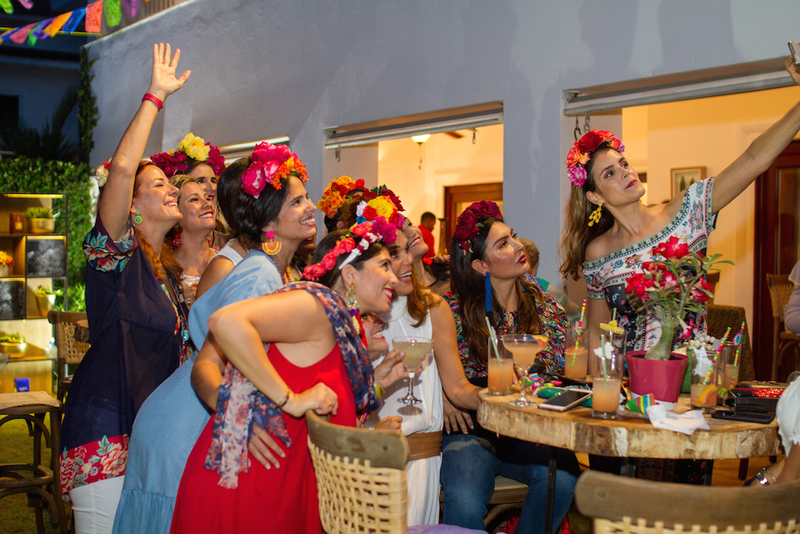 Café de la Leche has taken on the trend of having themed monthly parties making it one of the best aspects of these get-togethers apart from helping the children of La Romana. 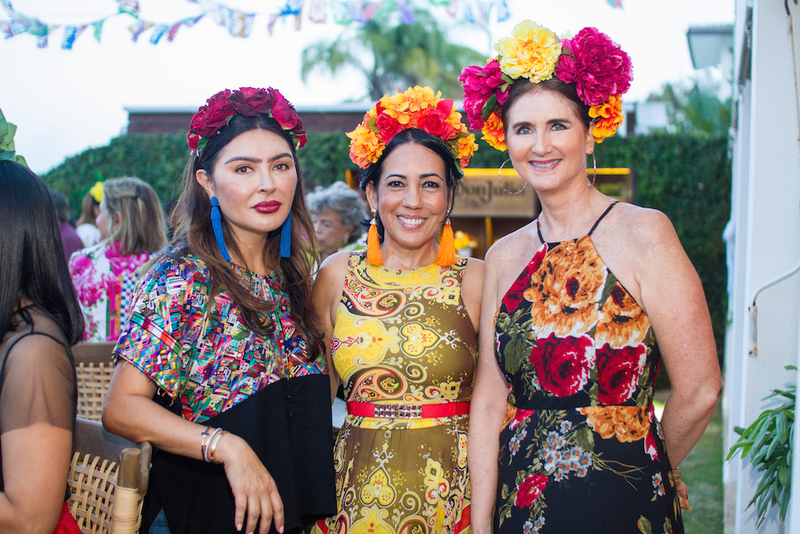 This month Idarmis Cucurullo de Velázquez and Lauren Llenas de Sánchez hosted a wonderful “Mexican Chic Soirée”, a perfect start to the weekend! 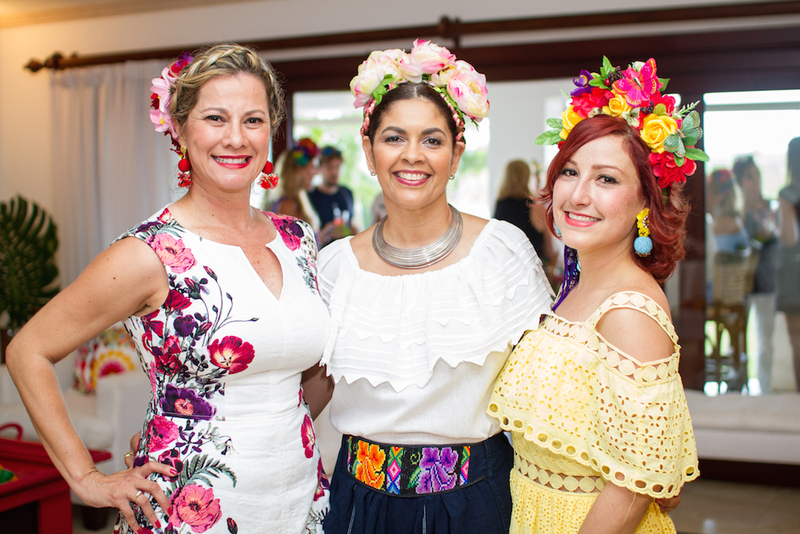 The house was decorated with bright colored flower arrangements in La Costeña japaleño cans, traditional shawls were thrown atop the furniture, and the garden was beautifully decorated with vibrant paper flags with traditional Mexican del sol solar designs, and tall cocktail tables. The house vibrated with the sounds of live music provided by Chantal del Pino who marveled all those present with some of the greatest musical hits of all times. The duo featured delicious Mexican style hors d’oeuvres, as well as a taco bar with various options for fillings and toppings and for dessert guests, enjoyed warm churros prepared on the spot. Throughout the late afternoon, ladies sipped on grapefruit and ginger Margaritas prepared with Tequila Don Julio who sponsored all the drinks that afternoon, as well as the popular agua de flor de Jamaica and admired each other’s creativity in their outfits that included beautiful flowers in their hair, long skirts, and of the shoulder blouses. All who attended thanked Lauren and Idarmis for a well-planned and witty affair. “It’s so fun to dress up!” many said. As the sun set everybody came together in the garden to be part of the special raffle with wonderful gifts the hosts had collected all thanks to various friends and local businesses. Lauren and Idarmis thanked everybody that helped make this Café de la Leche a memorable one. After the raffle, many stayed until late enjoying the splendid evening and taking out their phones to capture some memorable snapshots and videos with friends! 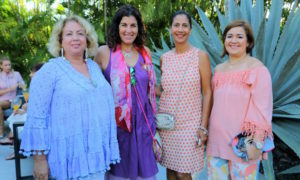 The sun may have set, but great Café de la Leche event kept on! Don’t miss the next Café de la Leche taking place in Casa de Campo! The Hogar del Niño is a children’s daycare and educational center for over 1500 children, located in La Romana town, just outside of Casa de Campo. Children from as young as just a few weeks old up to 18 years old are cared for and educated daily, from as early as 5:30am and staying as late as 7pm. The organization also provides special schooling to over 75 hearing impaired and blind children, as well as a vocational school where over 235 students receive classes in different areas like: sewing; industrial preparation, installation and electrical maintenance; plumbing and management of computer office programs. Pickleball: the sweet new sport with a sour name that is taking over LRCC!